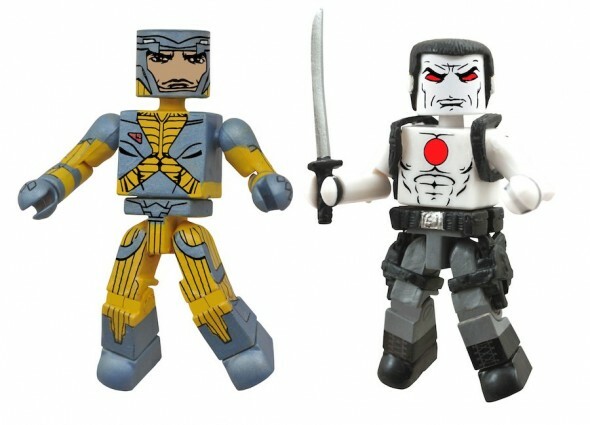 Two of the greatest heroes of the Valiant Universe have stepped into the three-dimensional world with an all-new Valiant MiniMates two-pack from Diamond Select Toys (DST), now available exclusively at Toys“R”Us® stores nationwide and online at Toysrus.com! 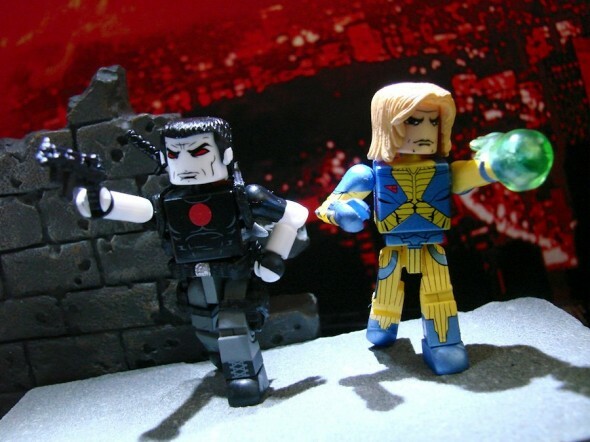 “The Valiant Universe is one of the premier comic book universes, with a history of creative storytelling, detailed character design and fantastic artwork,” said Chuck Terceira, President of Diamond Select Toys. 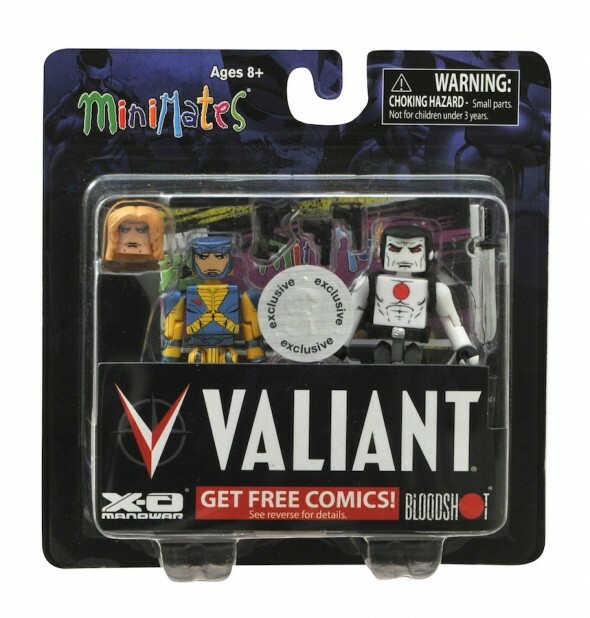 “The fact that it has not had more merchandise has always been a mystery to me, and when the opportunity arose for DST to create some of Valiant’s first collectible toys, we were all excited to be on board.” Born into battle, Aric of Dacia, the fifth century Visigoth now called X-O Manowar, has never known peace. Abducted and enslaved by the savage alien empire known as The Vine, Aric finally escaped his captors after stealing their ultra-powerful X-O Manowar armor and then returned to Earth…only to find that more than a thousand years had passed in his absence. Stranded in the modern day, the most primitive man on Earth now wields the most powerful weapon in existence as X-O Manowar. Brought back from the dead and infused with cutting-edge nanotechnology, Bloodshot’s nanites made him a nearly unstoppable killing machine. His enhanced strength, speed, endurance and healing made him the perfect weapon, and he served his masters at Project Rising Spirit – a private contractor trafficking in violence – very well. But after defying his programming and escaping his captors, Bloodshot now fights to rediscover to the secret of his true identity – but remains haunted by the past that nearly destroyed him. 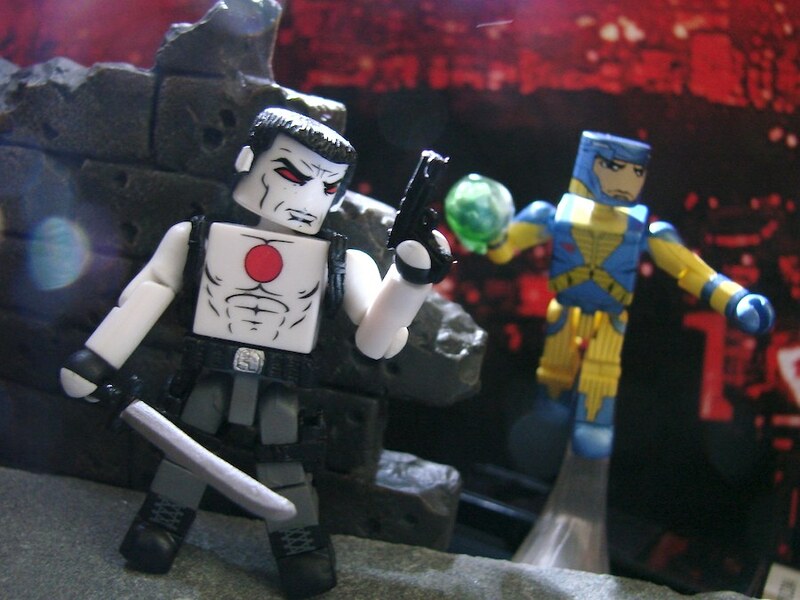 MiniMates, owned by Diamond Select Toys and Collectibles, are two inches tall, with 14 points of articulation, and feature multiple interchangeable parts and accessories. 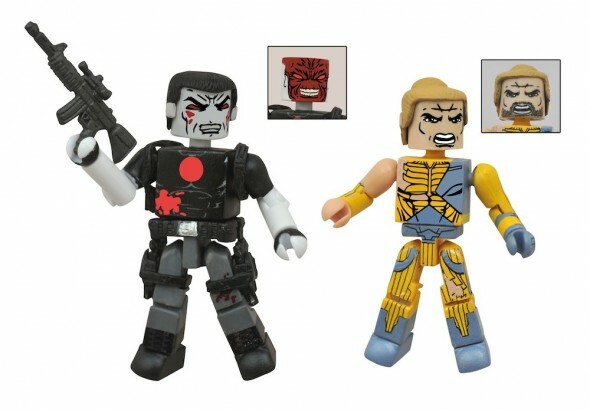 They were first released in 2002, and have grown into the largest and most diverse line of block figures in the world. Next Up: Ask DST #275: Make More Marvel!